Fall in love with this gorgeous Beazer home, which boasts wrought iron spindles, tile flooring, study with French doors, and a covered patio for outdoor entertainment and leisure. Create culinary cuisines in the chefs kitchen, featuring granite countertops, tile backsplash, and stainless steel Whirlpool appliances. Located right off the Grand Parkway and Hardy Toll Road, residents enjoy easy access to premier shopping, dining and entertainment at The Woodlands Mall, Market Street, Waterway Square, and the Cynthia Woods Mitchell Pavilion. 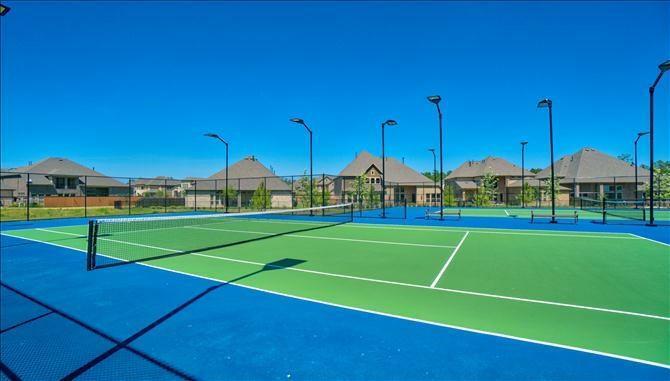 Community comforts offered by Villages at Harmony include a community center, swimming pool, playground, and walking trails. Schools are zoned to the highly acclaimed Conroe Independent School District. Dont miss out on the home of your dreams call today!